NFL Linebacker Emmanuel Acho on a judge’s decision to nullify Tom Brady’s four-game suspension. A federal judge deflated "Deflategate" Thursday, erasing New England quarterback Tom Brady&apos;s four-game suspension for a controversy that the NFL claimed threatened football&apos;s integrity. U.S. District Judge Richard M. Berman said NFL Commissioner Roger Goodell went too far in affirming punishment of the Super Bowl winning quarterback. Brady has insisted he played no role in a conspiracy to deflate footballs below the allowable limit at last season&apos;s AFC championship game. The league brought the scandal to Berman&apos;s Manhattan courtroom immediately once Goodell upheld Brady&apos;s four-game suspension, blasting the quarterback for arranging the destruction of his cellphone and its nearly 10,000 messages just before he was interviewed for the NFL probe. 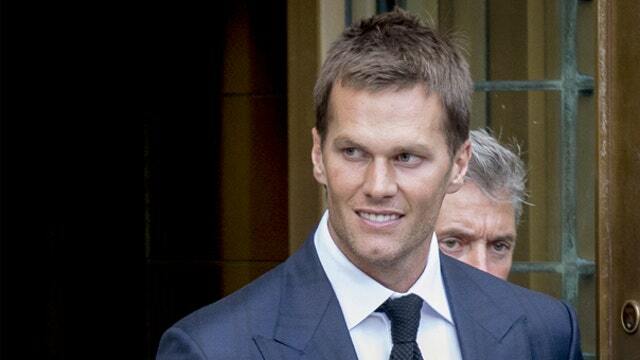 The union countersued, said Brady did nothing wrong and asked the judge to nullify the suspension. While the league investigation found it was "more probable than not" that two Patriots ball handling employees deliberately released air from Patriots game balls at January&apos;s 45-7 New England victory over the Indianapolis Colts, it cited no direct evidence that Brady knew about or authorized it. Goodell, though, went beyond the initial investigation report, finding in late July as a result of testimony from Brady and others that the quarterback conspired with the ball handlers and tried to obstruct the league&apos;s probe, including by destroying his cellphone. Berman&apos;s ruling does not necessarily end the dispute. The league can appeal. In one August court filing, the union said the four-game suspension displayed "a clearly biased agenda — not an effort at fairness and consistency," and it criticized Goodell&apos;s ruling upholding the suspension as a "smear campaign," a "propaganda piece written for public consumption."